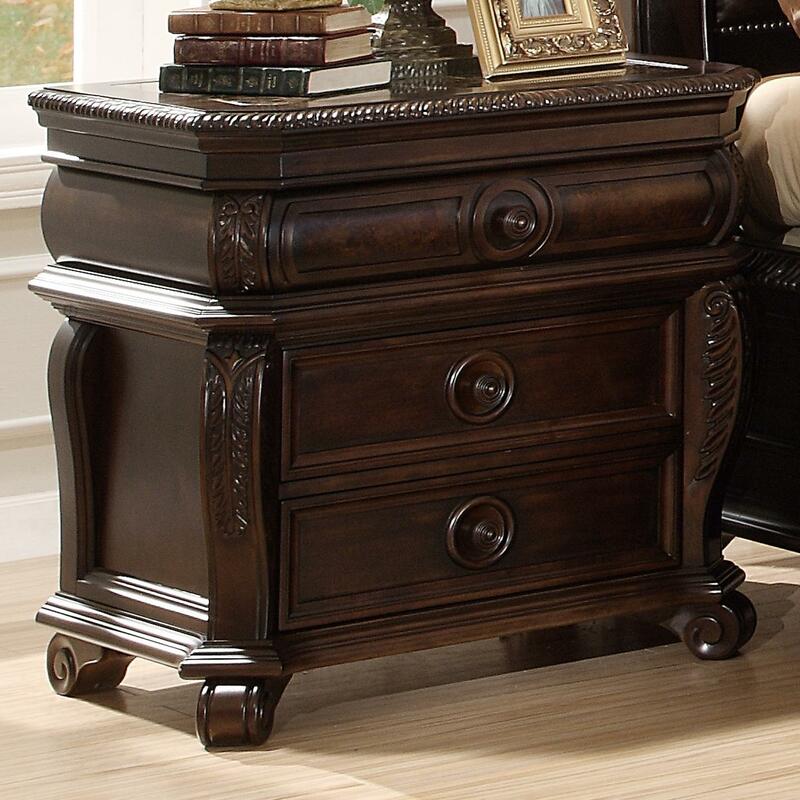 You'll be set with this night stand in your home decor. 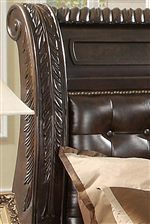 The piece carries a rich medium brown finish and features acanthus leaf corners as well as round knobs with circle indents. Plus, the three drawers are wonderful for keeping books, magazines, pens, alarm clocks and other miscellaneous items. 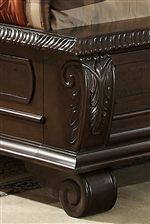 Elegant, yet, earnest, this stunning bachelor's chest is sure to make a fantastic bedside companion. 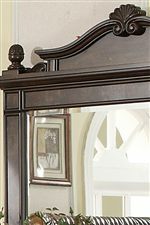 The B2160 Night Stand w/ 3 Drawers at Miskelly Furniture in the Jackson, Pearl, Madison, Ridgeland, Flowood Mississippi area. Product availability may vary. Contact us for the most current availability on this product.